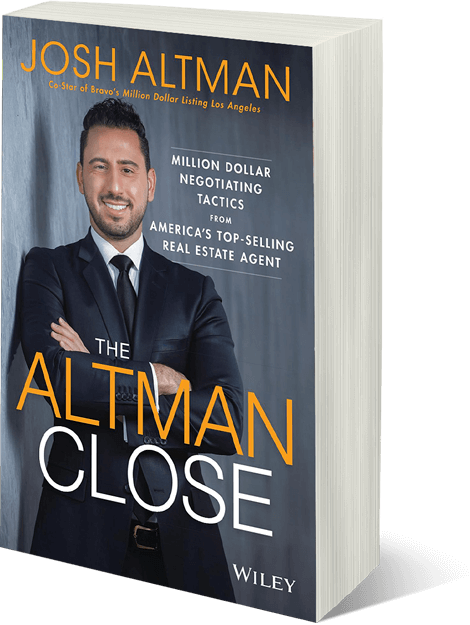 In the April 26, 2018 interview on the American Dream TV Show, Josh Altman talks about how he hustled his way toward success in the real estate industry. He shared some of the effective strategies he used to market his brand, as well as details of how he made half a billion dollars in sales in 2017. Craig Sewing (CS): Alright, when you’re talking about luxury real estate, this guy’s at the top of the food chain. [He] really doesn’t need an introduction. [He] closed a half a billion dollars in real estate last year. 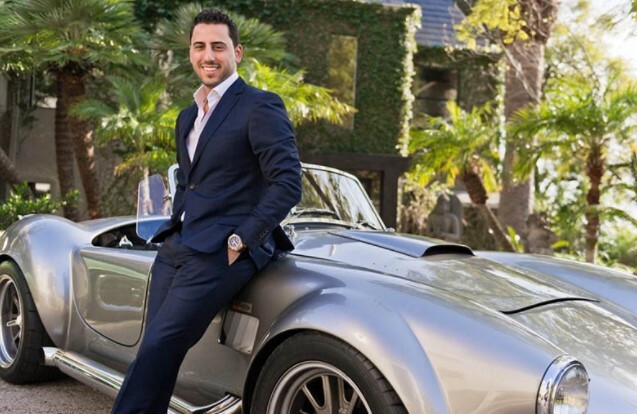 He is a part of the season 11 now of Million Dollar Listing, and has a new program out helping you to invest in real estate. 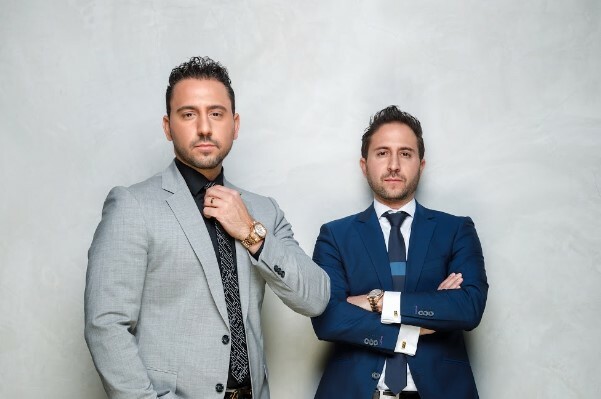 Josh Altman joins us on the show. Good to have you here, Man. 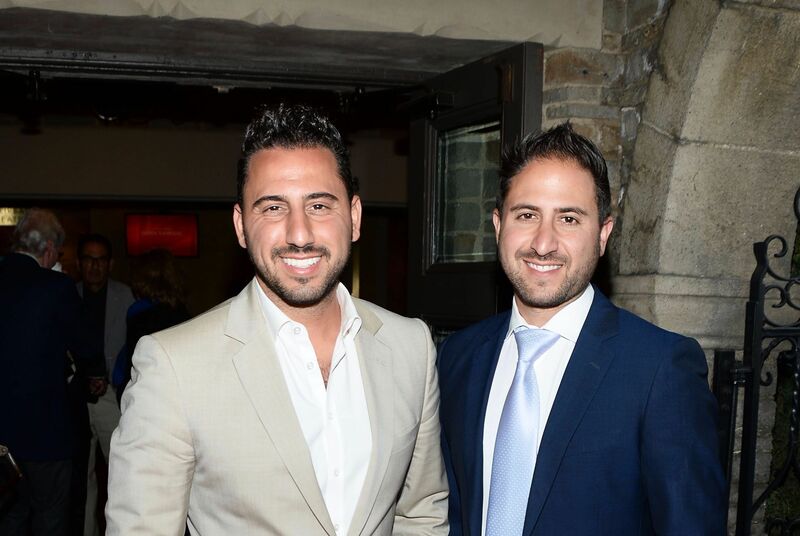 Josh Altman (JA): Thanks for having me, excited to be here. CS: So people have to remember, not only are you a star on this TV show, Million Dollar Listing but you’re actually out there hustling real estate all year long. I understand last year is your biggest year? JA: Yeah,we had a great year last year. 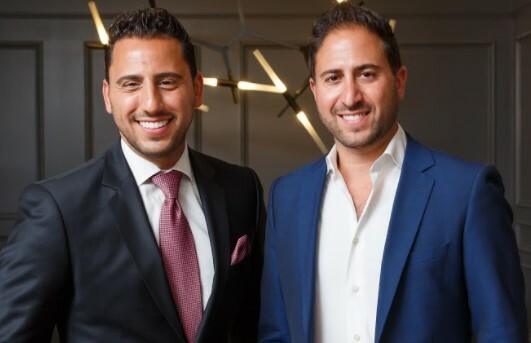 My brother and I of The Altman Brothers, we’ve sold about half a billion dollars with the real estate. I may be a star on TV show, but [I] can guarantee you [that] I’m up at, you know, 5:30 in the morning, and I’m showing about a dozen houses a day no matter how big the TV show gets. CS: Yeah, Man. The hustle is real. CS: So all housing markets are local, you’re primarily out of LA. People always have a fascination with what’s happening in luxury real estate, from the market to what’s trending. So from your point of view, what are we seeing in that, that niche? JA: Yeah, so people are a little obsessed with LA real estate just because of the sexiness of the real estate. Because of the sun and the fun, and the mansions that you don’t get in some of the places like New York or London. You know, the market here, my micro market, which is a high-end residential in Beverly Hills, Rolling Hills, Bel Air, Hollywood Hills, I will tell you it’s as hot as ever. Other agents besides myself are all having their record year which is nice. Record prices are being sold everywhere, but there is still, uhh.. There’s definitely the question of how long is this one gonna last. Because, people, you know… it wasn’t too long ago that the market dipped the last time so everybody has that in the back of their mind. But right now, we’re, we’re going strong. CS: Well, if the market’s hot, you still want to get top dollar. If it’s not, you want to be able to move the property. So you just discussed a little bit about the market, what about marketing on the high-end luxury stuff? I know you have to take it to market a little bit differently. You’re attracting international buyers. So what are some of the strategies that someone with a luxury home should look to when they’re selling their house? JA: Well, yeah… Look, we pride ourselves on being on the forefront when it comes to marketing these high-end homes. We really treat each one as business. You know we’re entrepreneurs all around and each house is its own animal, from the incredible pictures that we take, to the drone videos that we do, to the 3D videos. But then marketing it globally is the most important, especially when you’re in a market like Beverly Hills. We have to hit up China, we have to hit up Russia, we have to hit up the UK, we have to hit up everywhere in the countries, not just locally. I would say half of the 1/2 billion that we sold last year, 250 million was not local money. JA: That’s always interesting to us. So we’re doing a lot of deals with international buyers. A lot of Saudi deals we happened to do last year, so we’ll see what happens this year. CS: Now you say, “hit those different areas up”, what do you mean by that? How do you get the word out across the planet on some of the real estate that you guys represent? JA: Well, we like to think ourselves as concierges for our clients, but we also work directly with a lot of high-end concierge that have access to real money. It’s very to get in front of the decision-maker, and the people who have the money from around the world and that’s one of our ways that we do that. Other ways is working with experts who specialize in marketing in those specific countries. Their magazines, their websites, that a lot of people have never even heard of that are extremely effective. Uhh… look, when you sit down on a private jet, anywhere in the country, I want to make sure that when you sit down, and that plush sheet of that, of that G5, when you open up that magazine, you see one of my client’s properties. So we are everywhere, we spend a lot of money marketing, and we always make it back ten fold. So we’re very happy to spend money marketing because it also helps our brand. CS: Makes sense. So let’s switch gears here. Everybody wants to know Million Dollar Listing – very popular show. You got season 11 coming up. Congratulations on your success there. What’s coming up in the next season? JA: Listen, I’m just excited they called me back. Honestly, I only planned for one season, so here we are eight years later. For me, this is a fun year for us because this is the first time we’re gonna be taping with my daughter, who just turned one year old. So the fans will get to see our daughter on screen, which is important because I met my wife on screen, my first date was on screen, my engagement, my wedding… So it’s nice to have them all be part of it because they’ve been super supportive, very loyal fans. But at the same time, you’re gonna see, you know, the crazy market that we deal with. And when you’re dealing with lots of sellers in a good market, majority of the time, they’re gonna want to overprice their listings, which makes it just a lot more difficult for us to do our job. CS: Well, it’ll make for good drama on TV, that’s for sure. JA: Well, you know I’m gonna bring the drama every season. CS: Hey, real quick, before I let you go… You have a new program out there, where you’re helping investors. Now this is, I think, new to a lot of people that , I don’t know if they know that you do this. Explain what this consists of – how you’re helping people, and who is, you know, your ideal, I guess student for something like this? JA: Yes, so we just launched it about two months ago. It’s called, Flip for Life. It’s about investing in real estate. You know a lot of people don’t realize that probably half of my income, if not more, is from investing in real estate, not just selling real estate. So the tips, the secrets, the tools that I’ve learned over the past 15 years investing in real estate, I give people an opportunity to hear those and go out there. We help you find the house, we help you finance the house, we take you all the way from A to Z, because we want people to realize that 99.9% of the millionaires in this country, made their money in real estate. I love real estate. It’s an incredible investment, and I think it’s important for people to get into it. CS: Is a strategy a flipping strategy or a buy-and-hold or both? JA: Well, uhh.. that’s the thing. There’s so many different options. Yeah you can of course flip it and which I do all the time buying houses and trying to sell them within the same year, but I also do it as quick as flipping a contract or maybe I’ll close on a deal and then I’ll do some work and refinance it and hold the deal. So there’s so many other options besides just buying the piece of real estate and trying to resell it that we can talk about and we introduce to these people. Because I gotta tell you, there’s about a dozen ways to make money along the way of a deal and I think it’s important to educate people about that. CS: Alright, Man, the hustle is real. You sleep? JA: (laughs) I did a couple of weeks ago. It was great. CS: Good for you, Man. Hey good luck with the investor program, certainly season 11, and we look forward to having you back on the American Dream. Thank for dropping in. JA: Thanks so much for having me and I’ll go sell the dream, while you do the American dream.